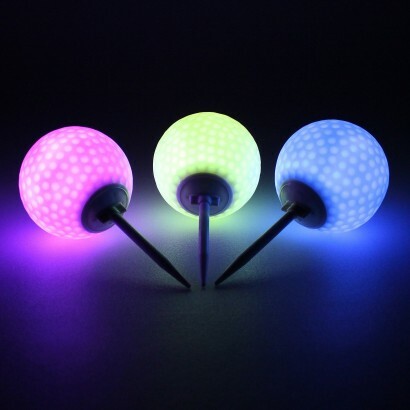 Passionate golfers will love these decorative golf ball garden lights that sit on their own individual tees to make sporting garden lighting! 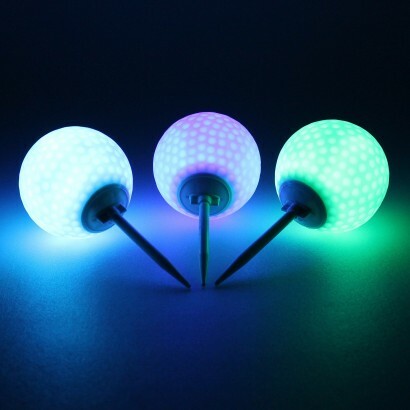 A pack of three, each golf ball is lit with a colour change LED and battery operated, they're easy to place as no wiring is required. Simply stake the tee's in the ground in borders, along pathways and even in pots and place each golf ball on top to enjoy playful garden lighting that any groundsman would be proud of!